Users dont have to wait long to get their prints and copies as the Sharp MX-5001N digital colour copier has an impressive speed of 50 ppm / cpm for both black and white and coloured output. This unit can be easily shared as it has built-in Ethernet and it is compatible with most operating systems. 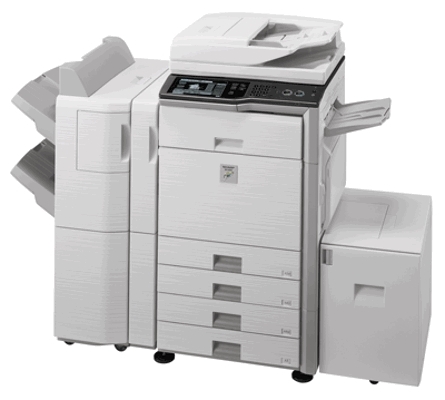 The Sharp MX-5001N multifunction printer delivers great quality prints, scans, copies, and faxes. Black and white prints are especially cheap to produce from this copier thanks to an economical Sharp MX-5001N black toner cartridge that prints approximately 36,000 pages.